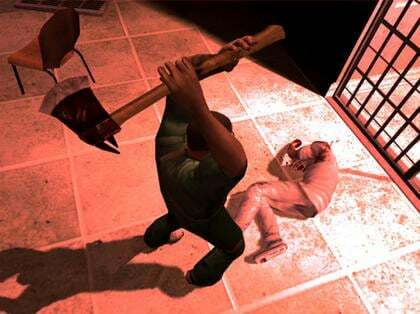 Manhunt 2 developer Rockstar will fight the British Board of Film Classification (BBFC) over the organisation's second refusal to grant the game a UK rating - a verdict it said was "unacceptable". Manhunt 2: still too gory for grown-up Brits? In a statement, the game developer also branded the BBFC’s latest decision, which effectively bans the game from UK sale, as a “setback for all videogames”. Rockstar has already tried to tone-down the game’s gory graphics following the BBFC’s earlier refusal to grant it a classification, but the organisation still doesn’t feel these changes are enough to get the game onto UK shop shelves. Rockstar said it believes gamers should be allowed to decide for themselves the level of horror they see in a videogame, just as they do in the movies that BBFC classifies for UK viewing. If you’re desperate to get your hands on a copy of Manhunt 2 to find out what all the fuss is about, then you could pop over to the US later this month. The game goes on sale there on 31 October with a Mature (M) rating for gamers aged 17 or more.